Iris is a Q-switch Nd:YAG Laser (532nm/1064nm/SLP/PTP,BlueToning). The composition of the laser resonator is designed in a way that allows the laser beam to be uniformly distributed, acquiring an excellent beam quality of top hat mode. 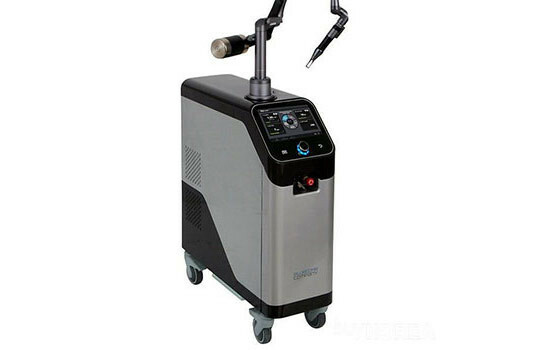 Iris is the first smart laser device in Korea to operate with True 15Hz/s pumping speed, enabling highly efficient performance in treating pigmented lesion by safely destroying pigments only while minimizing the patient’s pain. – 1064nm wavelength is the deepest penetrating wavelength among all lasers used in medicine and is thus used to treat pigmented lesions located deep inside the dermal layer such as nevus of Ota-like macules. Other lesions that can also be treated are moles, melasma, and age spots. – The 532nm wavelength can only penetrate so much and is thus used to treat pigmented lesions located in the epidermal layer such as freckles. Other lesions that can also be treated are age spots, pigmentation, and blemishes.